This weekend Arsenal meets Liverpool in what is a crunch match for Liverpool who currently sits 2nd in the Premier League. If you want to watch the match then your options can be limited depending on what country you’re in. In this guide I’ll be showing you the quick and easy way how you can watch an official stream of Arsenal vs Liverpool completely for free. All you need to do this is a ‘VPN‘ app. You won’t need a cable subscription to watch and best of all there are no dodgy or sketchy streams involved either. Not only are they illegal but are likely to give you some kind of virus or trojan. 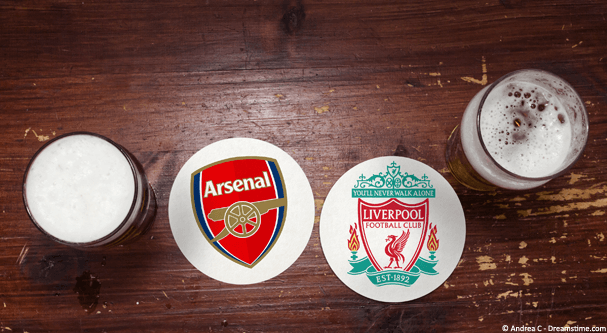 So if you want to watch Arsenal vs Liverpool on Saturday, 3rd October 2018 then read on to find out how. Arsenal will be hoping to leapfrog Chelsea this weekend into 3rd spot and with Liverpool in an early season title battle level on points with Man City, it’s a match they can ill-afford to lose if they want to challenge for this year’s title. To watch the match free you’ll need to get a VPN app. I recommend using ExpressVPN. They’re easy to use and fast so you won’t experience any buffering. It’ll allow you to watch an official stream of the match from overseas. A VPN will cost you a couple of pounds (or dollars) but you won’t need to pay to view the match itself. Just follow the steps below to get watching. 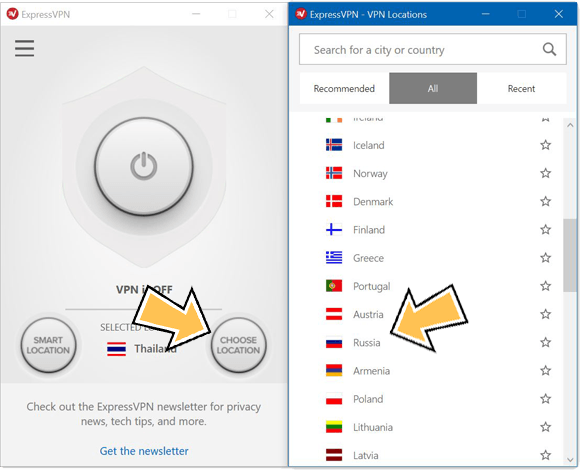 Visit ExpressVPN and sign up for their service. If you want to watch other matches free then take the 12-month package because it’s nearly 50% cheaper than paying monthly. Download the app from the ‘Products’ section of the ExpressVPN website for your type of device. It works on computers, laptops, phones, tablets and more. Open the app and when required either login or active it. Then press ‘All‘, ‘Europe‘ and then ‘Russia‘. Wait for the app to connect or press ‘Connect‘ if it doesn’t automatically. Once connected visit the MatchTV Live Stream page to watch Arsenal vs Liverpool live. Watch Arsenal vs Liverpool with ExpressVPN. When you connect to a VPN it alters your location so you look as if you’re in another country. In Russia the Arsenal vs Liverpool match and some other select Premier League matches are shown free by the official broadcaster MatchTV!. They’re also streamed live online at the same time. By using a VPN you can pretend you’re in Russia which allows you to watch the official stream of the match. There are hundreds of VPN service providers out there. 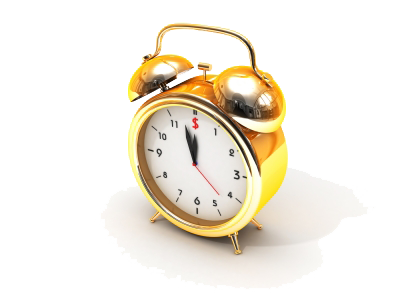 In fact, if you do a quick search of Google right now you’ll be overwhelmed by the amount of choice. It’s important to know that you’ll need to sign up for a VPN service that has a Russian connection point. This is one of the many reasons why I recommend ExpressVPN. You can sign up to any of the three providers above as they’ll all work fine for watching the gunners take on the scousers this weekend. Arsenal vs Liverpool kicks off at 5:30 pm on Saturday, 3rd October 2018. Both teams have been firing on all cylinders this season and Arsenal’s fortunes are definitely on the up after the departure of long-term manager Arsene Wenger. Liverpool has equally had an excellent start to the season and are sitting 2nd joint on points with Man City who sit top. This is surely one of the biggest clashes of the season so far. With Arsenal aiming to jump into 3rd position and gain points on 2nd placed Liverpool and Liverpool needing to win every match to keep up with City this will be one to watch. The Gunners have the home advantage and any match at the Emirates is a tough one, even for on form Liverpool. Arsenal so far have failed against the other big contenders this season losing to both Chelsea and Man City at the start of the season. If they want to challenge for the title this year they need to brush aside Liverpool to seal their place in the running. Liverpool, on the other hand, haven’t lost to Arsenal since April 2015 and ‘Kloppites’ will be hoping they can continue their run of form. To watch Arsenal vs Liverpool at the Emirates this weekend online you’ll need to get a VPN app. A VPN app allows you to watch an official stream of the match from overseas. You won’t need a cable subscription to watch. You can get my recommended VPN app from ExpressVPN by signing up below. Download their app and connect to Russia. You can then watch the match live on MatchTV! from any country in the world. Who do you think will win this match? But more importantly who will get on the scoresheet this weekend? Let me know in the comments section below as I would love to know your thoughts.